Home ▻ Storage Auction Blog ▻ Storage Auction Days: So What's The War All About? Storage Auction Days: So What's The War All About? If you’ve never been to a storage auction before, you’ll want to check out the next storage auction in your area. It’s a mad house of passionate entrepreneurs, each outbidding the other with dollars and a whole lot of drive. Storage auctions can be extremely profitable. On the day of the auctions, buyers are waiting long before it starts, and everyone is ready to get the first look inside the storage. Many will say the anticipation while waiting can heat up the competition. At almost every auction there are a few new participants, but you can see the veteran buyers. They generally show up with gadgets like flashlights and other tools to help them take a better peak inside the unit. At the storage auctions, decisions are made quickly. Experience and cash in hand are essential to winning these auctions. There’s a lot of profit to be made if you know what you’re doing, but it’s somewhat of a blind sale, not being able to feel, touch or fully see what you’re buying. Most people that go to auctions are competitive by nature, so it’s not surprising when a few are after the same storage unit, the bidding can get much higher than anyone else anticipated. We’ve watched it on the big screen with the Storage Wars shows and it happens on a daily basis with most local storage auctions. But what is it all about? It’s the amazing finds that could be behind those roll-up doors. There are times when they come up empty handed. Other times they wish they never found some of the odd, disgusting things they run into. Generally, the finds are worth the wait and war. What items have been found in storage units before? Since all the attendees are there for one purpose, to walk away as the winner, a lot of time it creates friction between the parties involved, thus they named the famous show “Storage Wars”. It’s competitive, profitable and quite exciting to see. 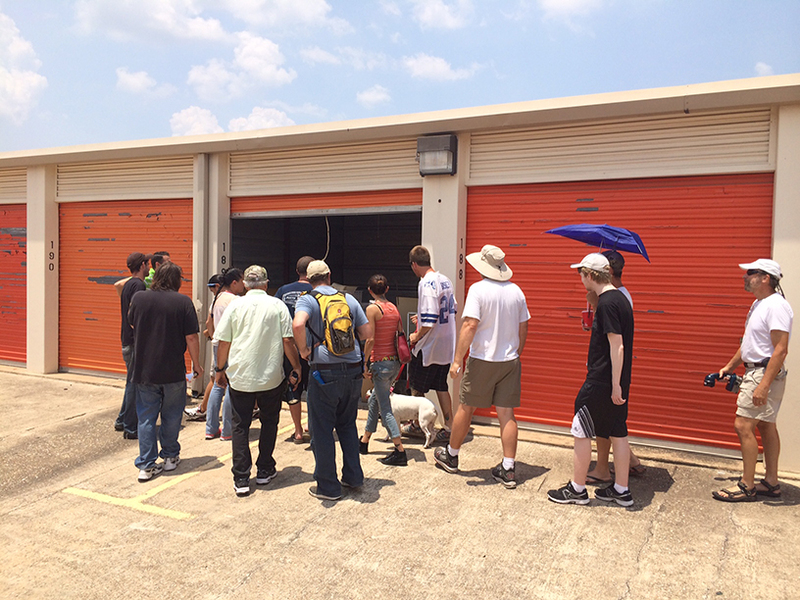 Why not check out a few upcoming storage auctions in your area? But don’t say we didn’t warn you, as the excitement can be addicting!